As a Holistic Clinical Pharmacist, I am always looking for holistic and natural approaches to health for people and pets. CBD or Cannabidiol is the perfect natural cannabinoid supplement to compliment good lifestyle choices and the desire for quality of life. My answer is a definite “Yes!!! …but” because not all products are created equally and there are some things consumers should be aware of before purchasing a CBD product. The good news is pets can benefit from CBD in much the same way humans do. Our furry friends, as well as most animals, have an Endocannabinoid System (ECS) that is responsible for maintaining homeostasis or balance within the body – including regulation of the communication between cells, the body’s immune response, and autonomic functions like appetite, sleep, and metabolism. Basically, the ECS helps the body maintain itself. Cannabinoid supplements interreact with this system meaning that your pet will potentially derive benefits from CBD in similar ways to their human “parents” do. CBD’s benefits come from its ability to affect the body’s naturally occurring regulatory processes by interacting with the Endocannabinoid System. This chemical communication system includes CB1 receptors, mostly found in the brain, and CB2 receptors found all over the body, including in the gut and immune cells. Because of this similarity between this system in humans and other animals, many owners have started taking advantage of the availability of CBD products in hopes of treating their pet’s Arthritis, Anxiety, fear of people, fear of loud noises, traveling stress, seizure disorders, GI disorders, chronic pain, inflammation, and even cancer. Animals, however, can be very sensitive to cannabinoids. This extreme sensitivity to THC in dogs limits the ability to use traditional medicinal marijuana in our pets, which would quickly turn them into furry THC-zombies. This also means consumers must be very careful that the CBD products they buy DO NOT contain THC. Legally products can be marketed as “THC-Free” so long as they contain less than 0.3% THC which still may be far too high for our THC-sensitive furry friends. Dogs can easily overdose on THC and have a severe negative reaction called Static Ataxia, which includes: glazed eyes, excessive drooling, loss of bowel and bladder control, rapid breathing, falling over, and an inability to get up again. CBD has become the cannabinoid of choice for many clients because it is non-toxic and well tolerated in animals, but the dangers of THC are less widely known. Our LabNaturals PCR Full Spectrum CBD Hemp Oils have proven ZERO THC per third party testing, which makes them an excellent choice, especially dogs who are naturally much more sensitive to THC’s psychotropic effects. Since LabNaturals PCR products are third party tested for potency, purity, and consistency, you can rest assured that our CBD hemp oils are consistent with their labeled strengths. We have Certificates of Analysis available upon request for each of our products. Our oils are free from contaminants – like mold, mildew, and microbes, and are grown without chemicals or pesticides, and are free of heavy metals – protecting your pet’s health and safety over the long-term use of these products. Second, make sure to purchase CBD oil from a business with professional expertise in health, wellness, and supplementation. It is also important to have someone check your animal’s medications for potential interactions. Finding a pharmacist well versed in both CBD and pet medications is best to be sure that all information is accurate. Our LabNaturals PCR is not your vape shop’s CBD! LabNaturals PCR CBD products contain full spectrum hemp oil creating an entourage effect where the cannabinoids work together for greater potential benefits. They are also derived from the whole medicinal industrial hemp plant grown, processed, and produced in accordance with the 2014 FARM BILL, Section 7606. Third, we use a “Low and Slow” “micro-serving” process of building up the serving size in our clients which applies to both humans and animals. This allows us to find the right serving size for the client’s needs. We also consider the pet’s size, species, and weight starting at a serving of 0.25-0.5mg of CBD/kg/day and this serving may be increased on a weekly basis until desired benefits are achieved. You should feel confident that my 37 years of clinical pharmacy experience is reflected in every handpicked product in my pharmacy, Murray Avenue Apothecary, including our only brand of CBD products LabNaturals PCR Full Spectrum Plant Oils. This new brand of CBD builds on our already popular LabNaturals Skin Care line which provides affordable, non-toxic, and eco-friendly anti-aging and acne products. 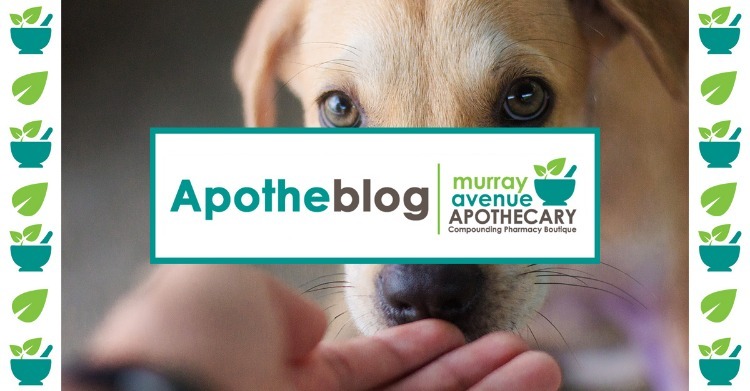 At Murray Avenue Apothecary we are pharmacists for humans and our furry family members and we have done our research into the exciting new world of CBD and cannabinoid supplementation. If you have questions we will always do our best to answer them as completely as possible. We ensure the purity, consistency, and safety of all our products and compounds because that is exactly what you and your pets deserve. 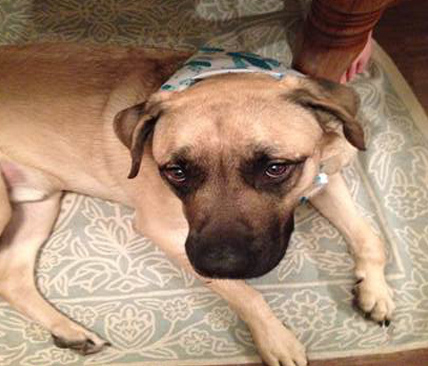 "Our Bullmastiff/German Shepherd rescue, Hardy, came to us with a host of lovable quirks, but his anxiety made it difficult for him to enjoy life to the fullest. We tried an expensive prescription separation anxiety medication, but the results were just fair. We switched to LabNaturals PCR and it has made a world of difference! He no longer anxiously follows us from room to room or paces around our home, we've been able to trim his nails, and he is overall a more relaxed and happy dog. What I appreciate most is that he does not seem "sedated," his fun and sweet personality still shines through. Using LabNaturals' product has allowed us to get Hardy's anxiety level diminished to the point of being able to start working on the behavioral modification techniques needed to treat the root of his anxious processes."